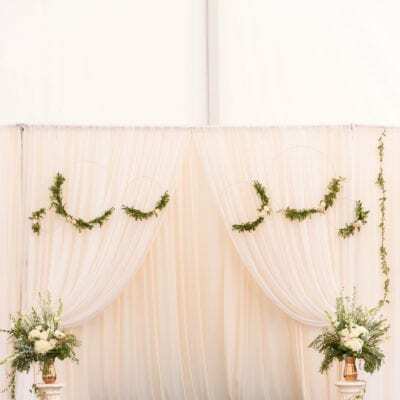 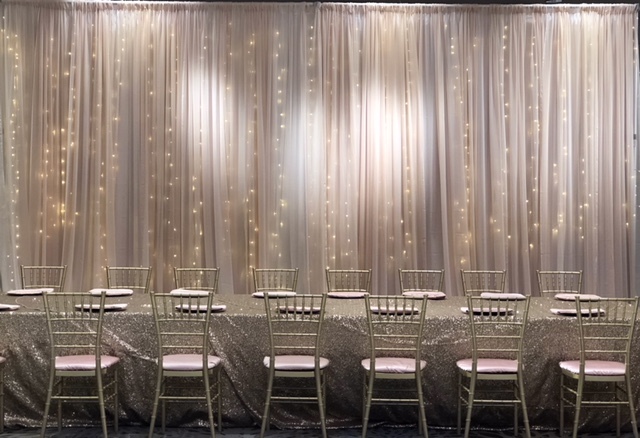 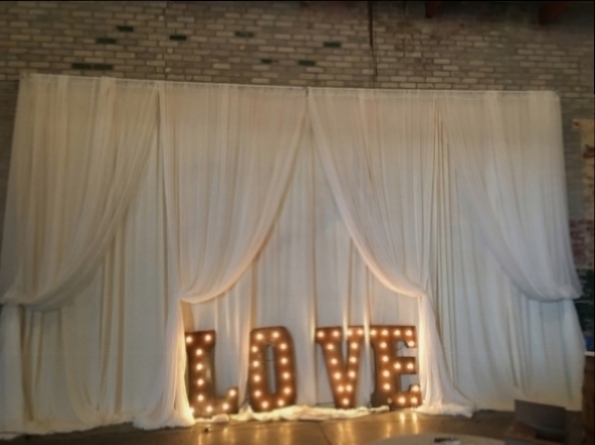 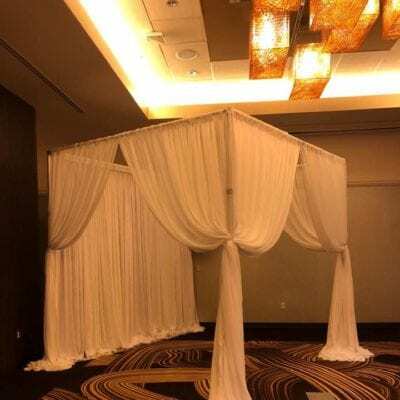 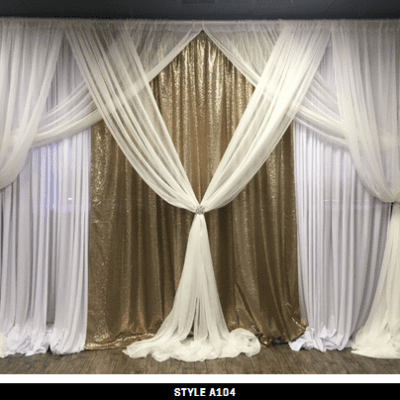 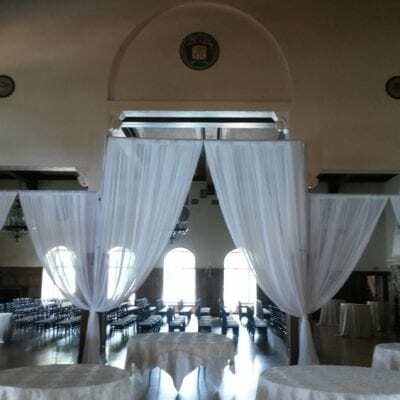 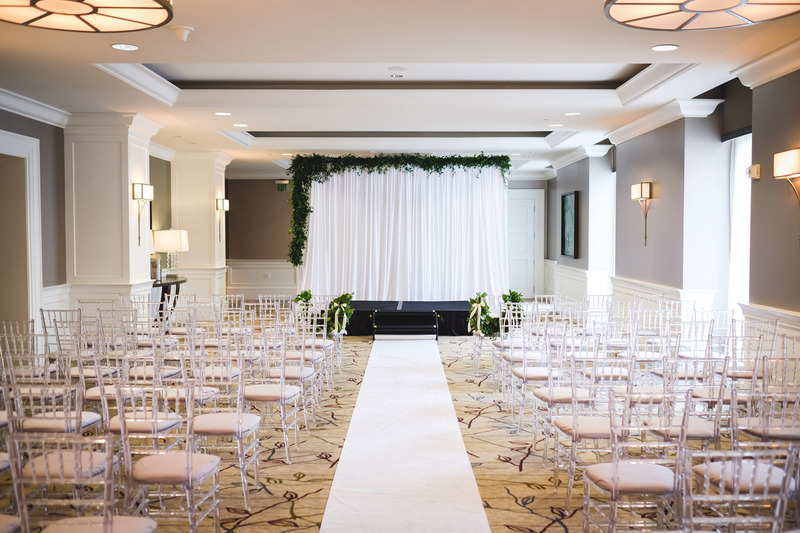 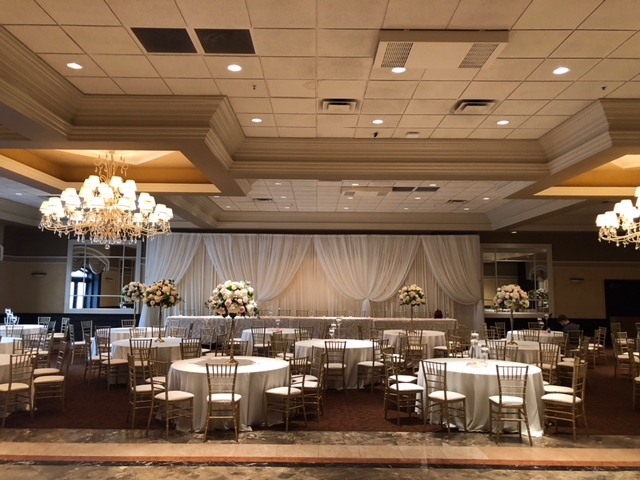 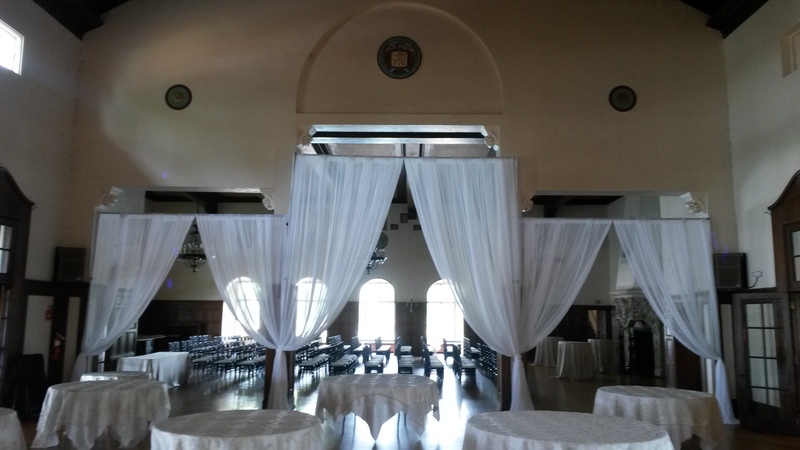 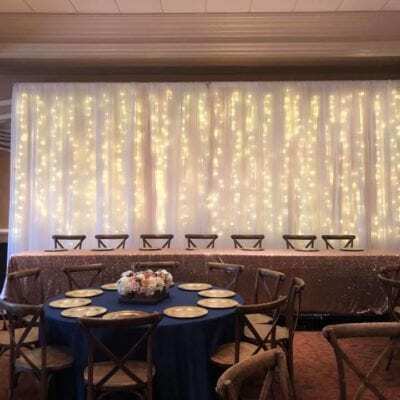 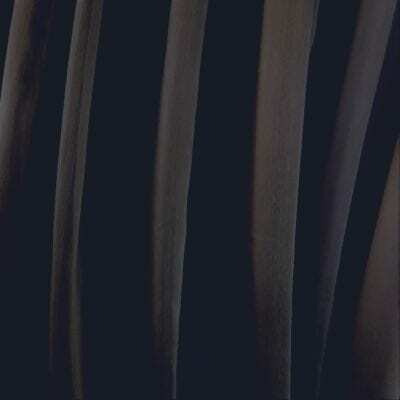 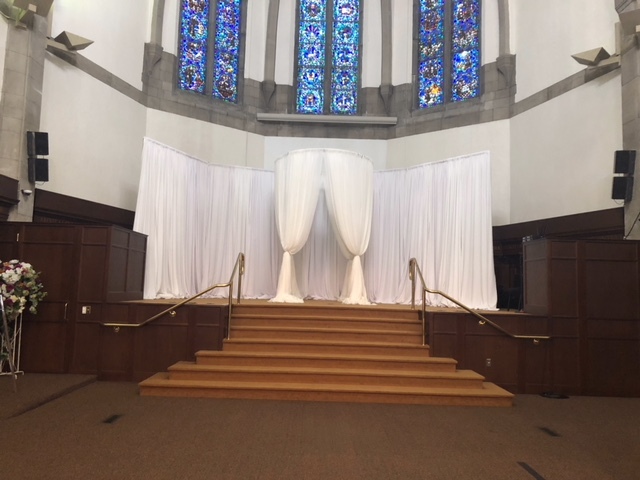 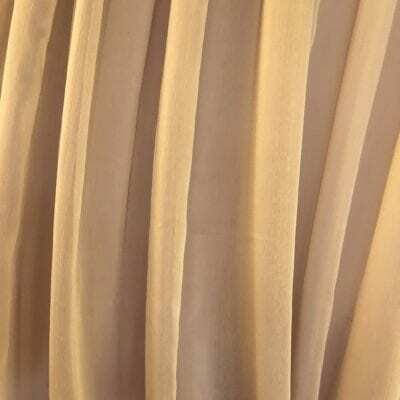 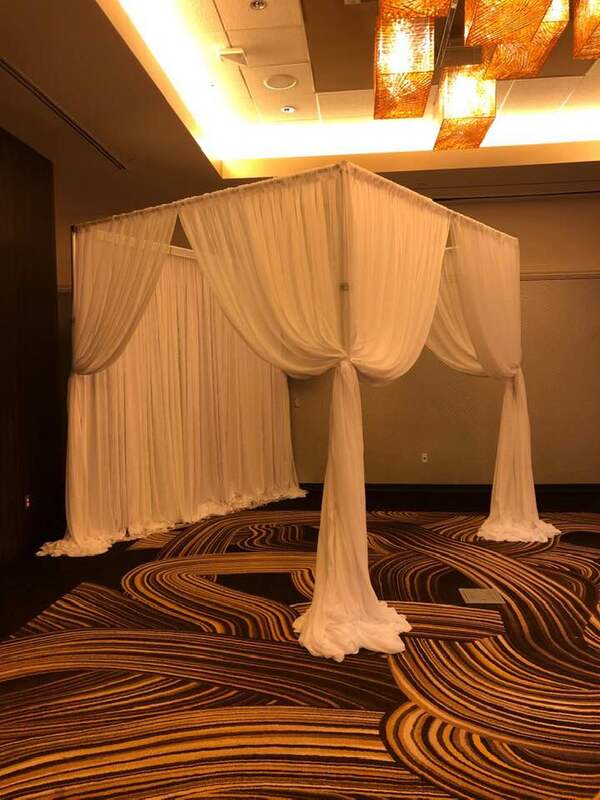 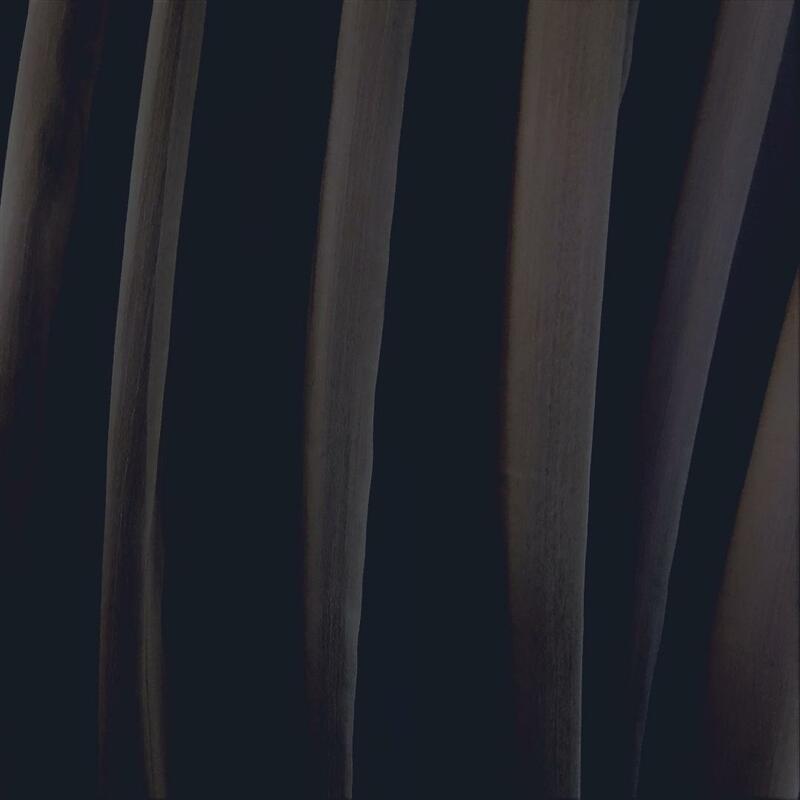 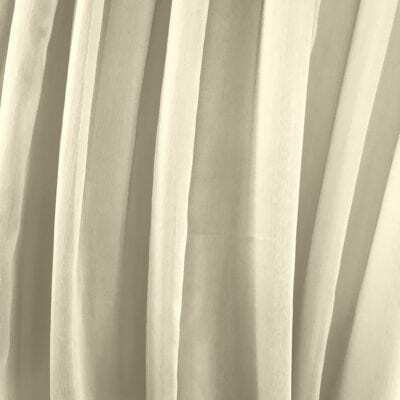 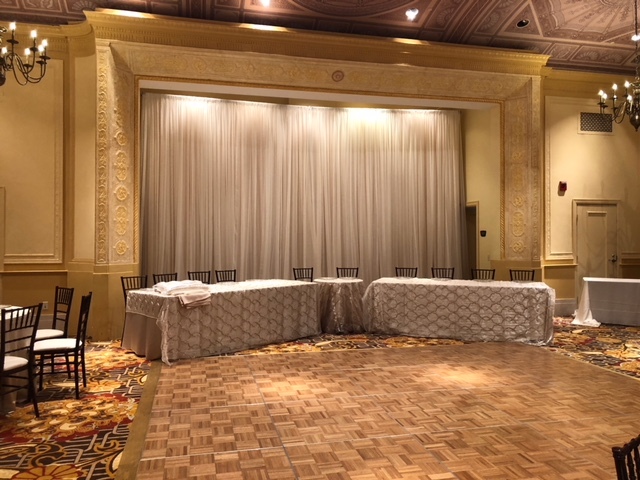 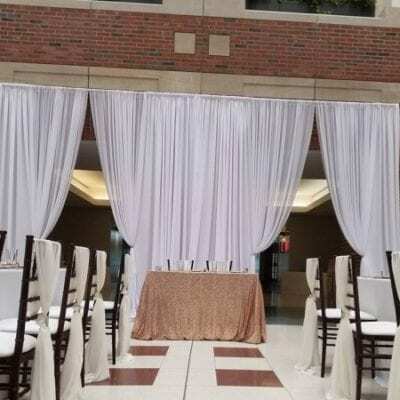 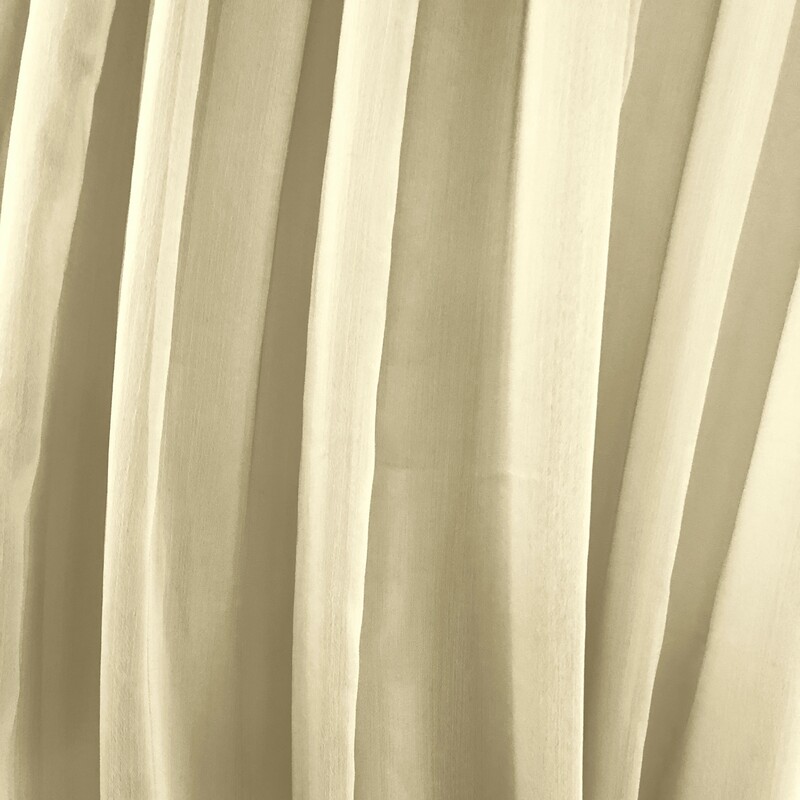 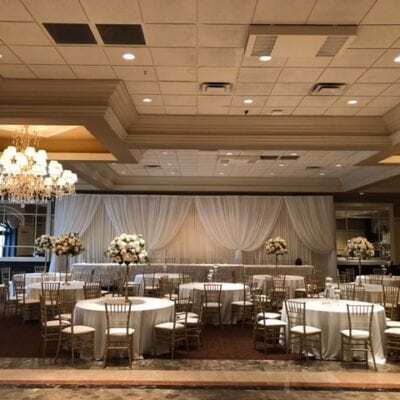 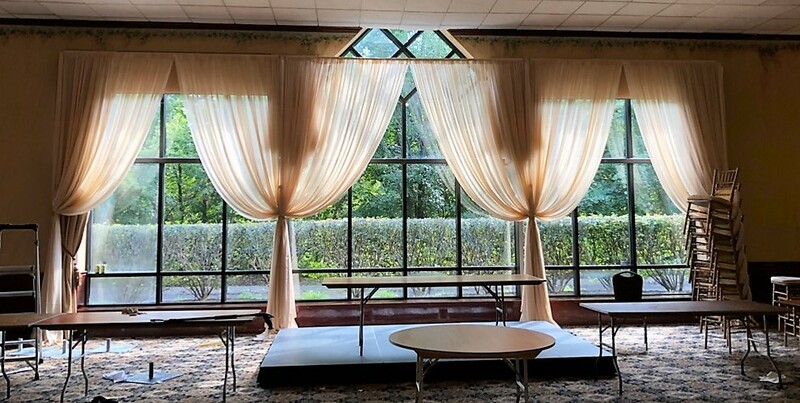 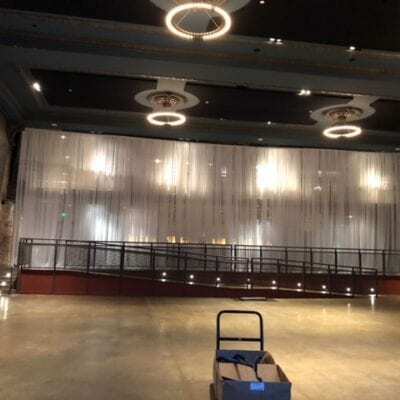 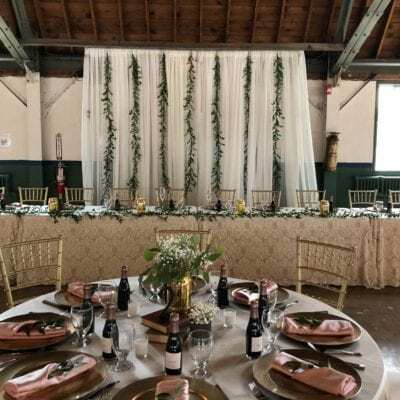 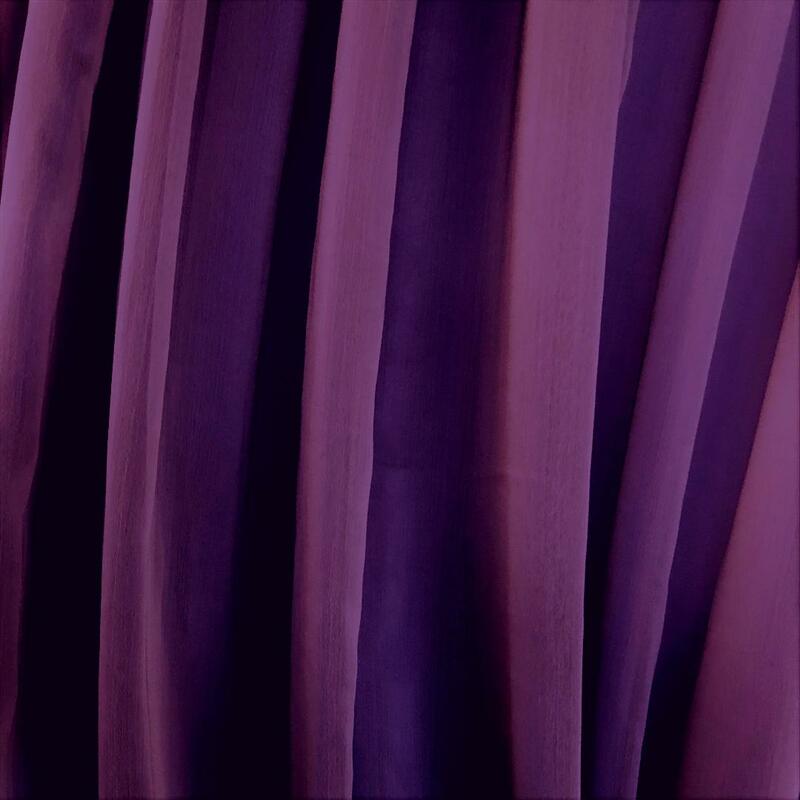 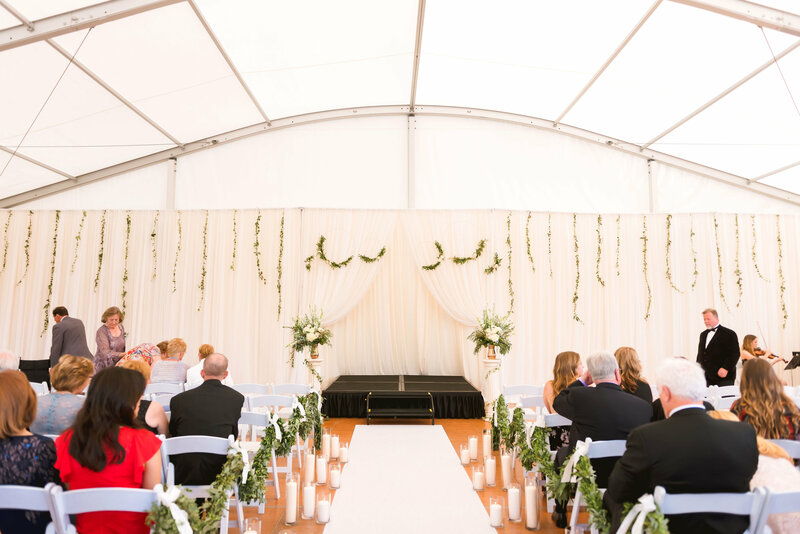 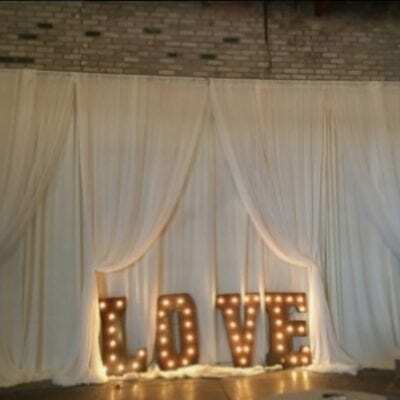 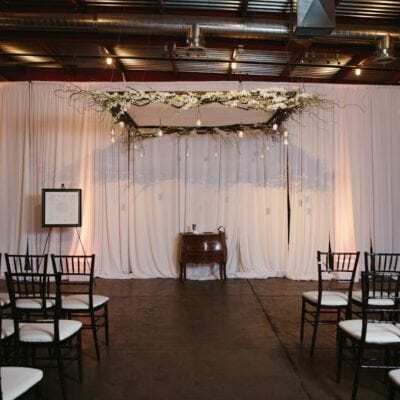 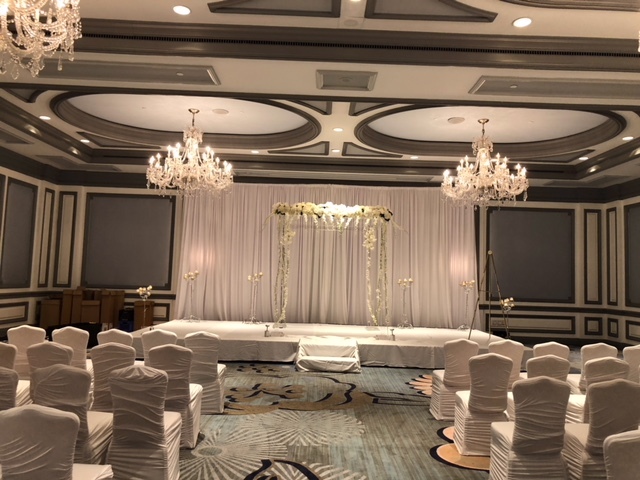 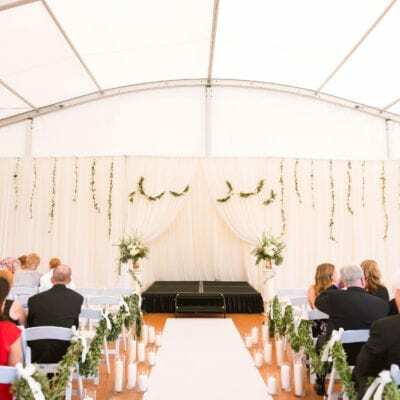 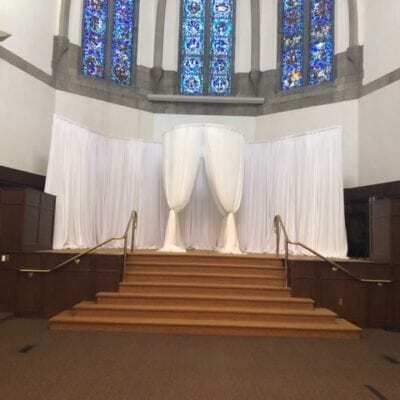 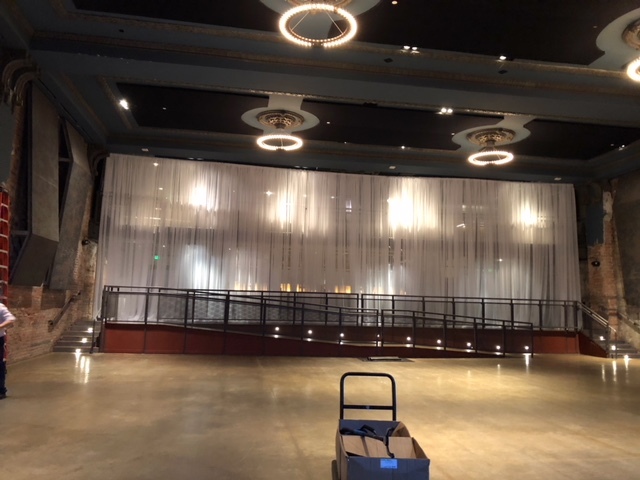 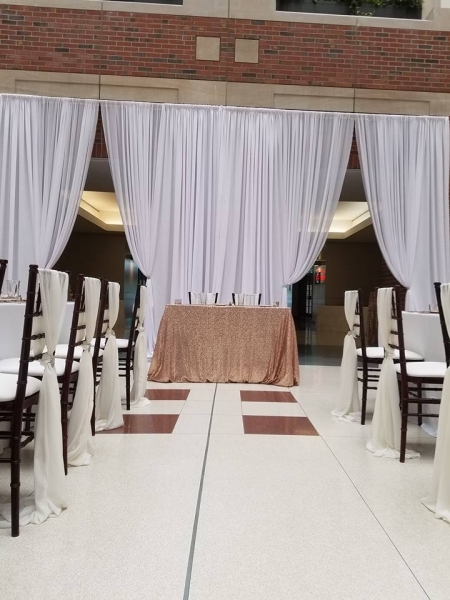 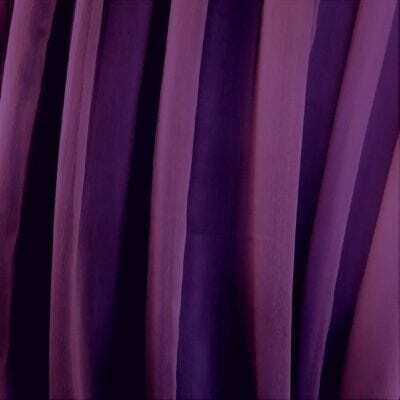 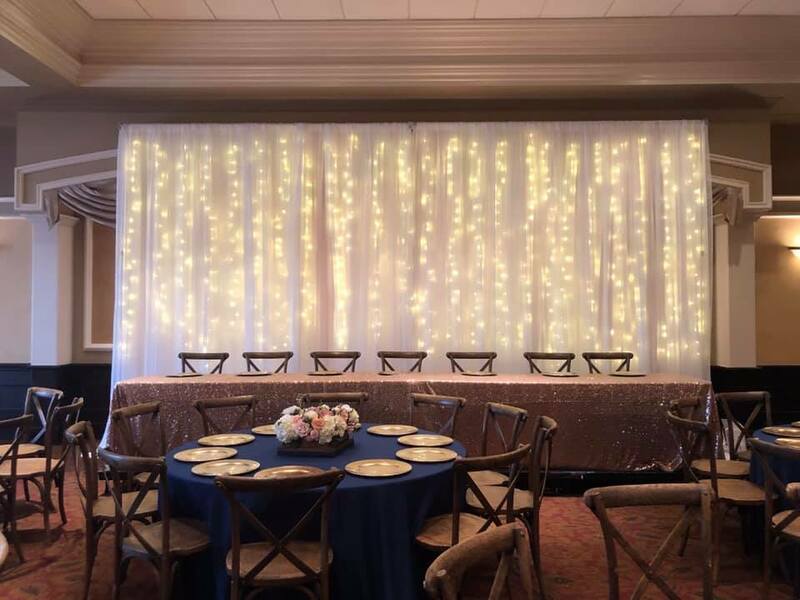 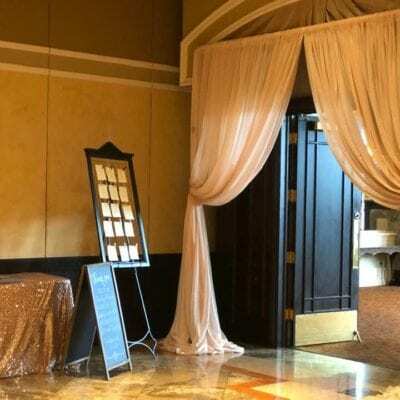 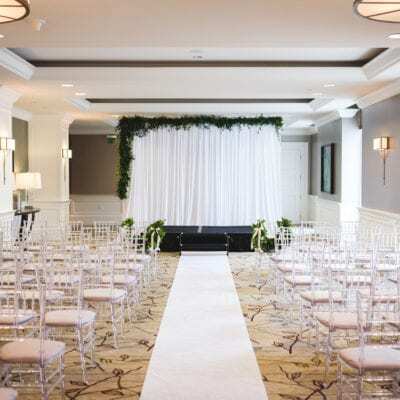 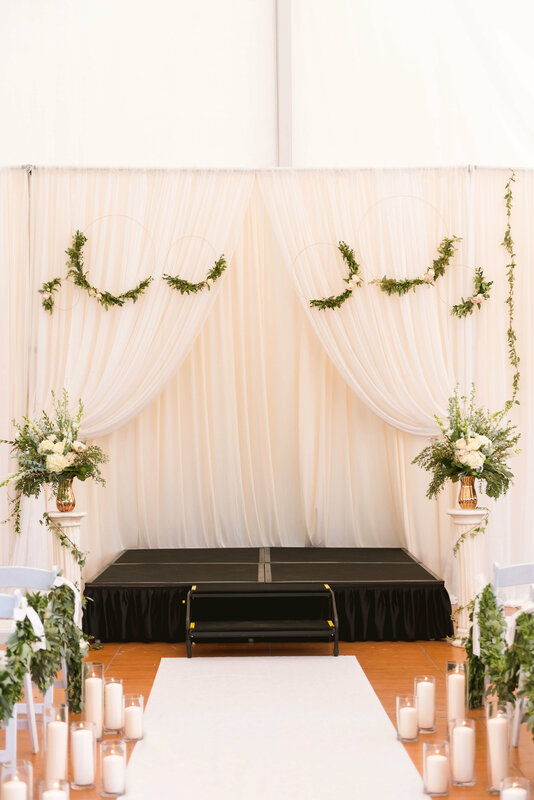 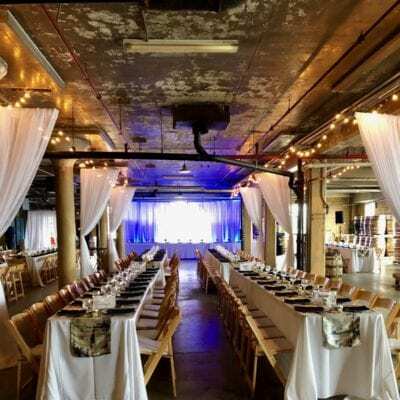 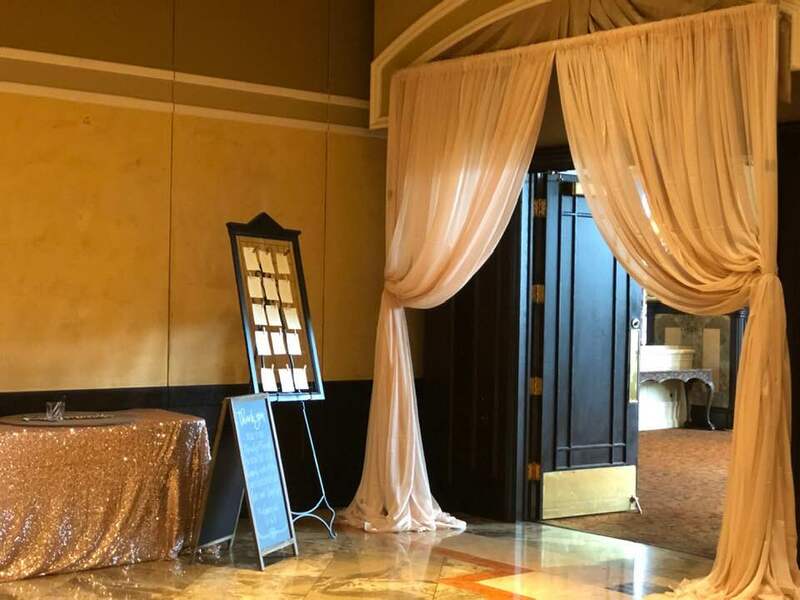 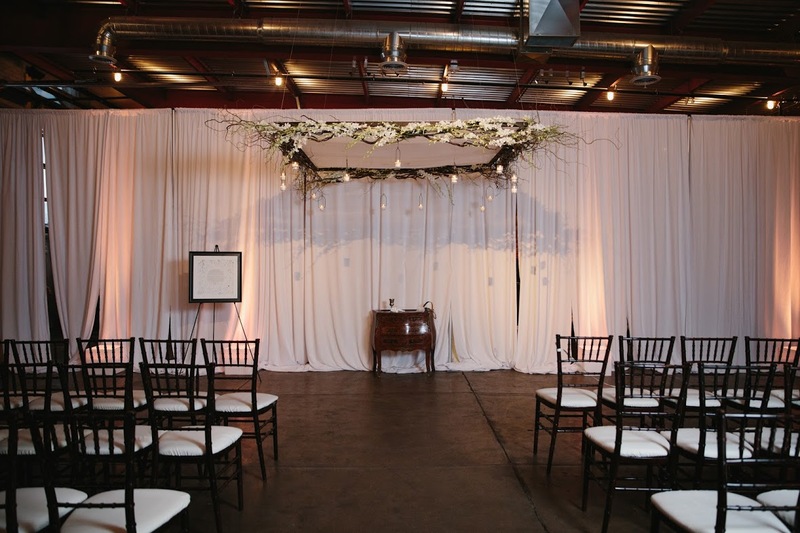 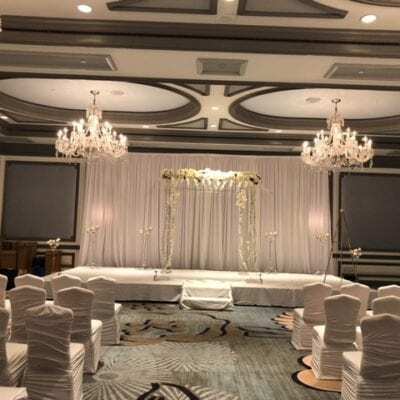 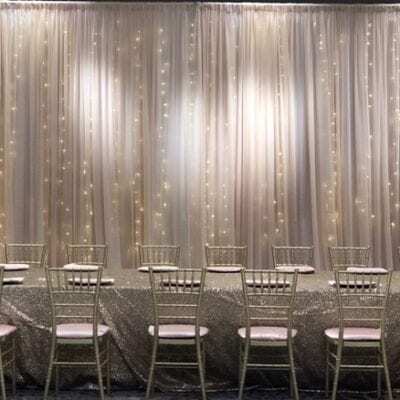 We are able to create a variety of draping styles! 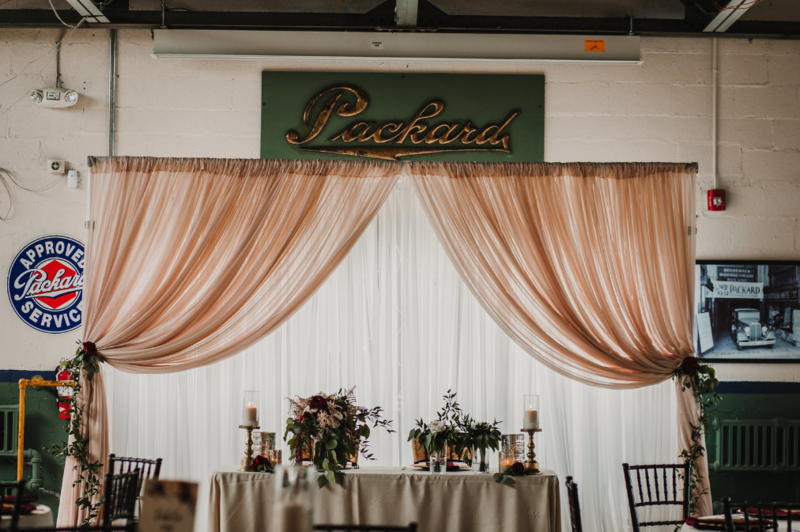 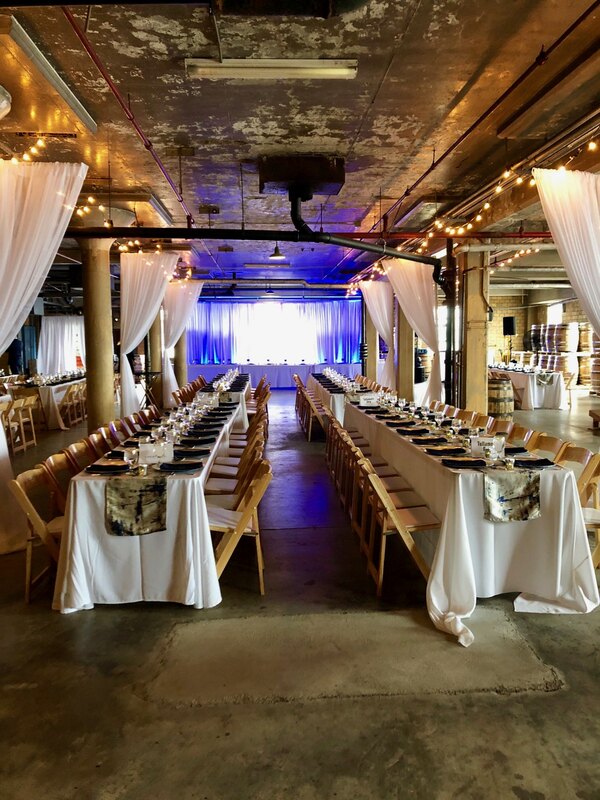 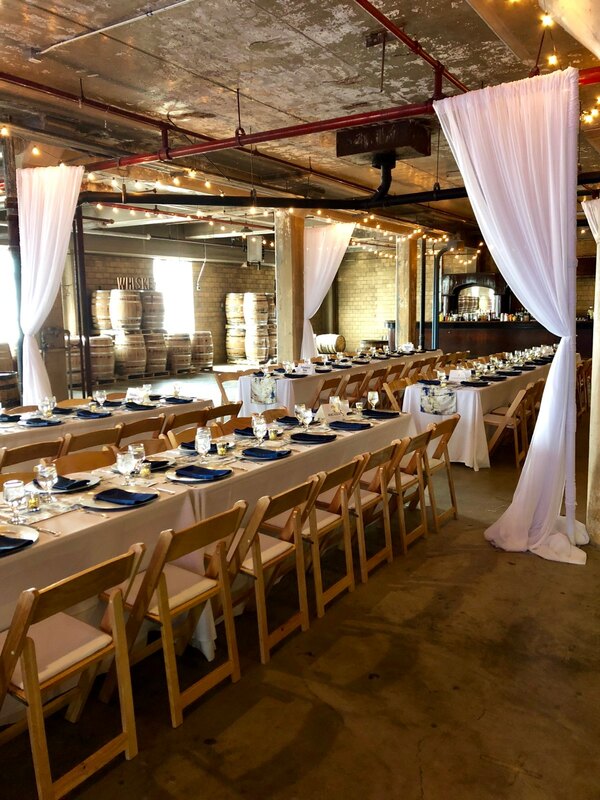 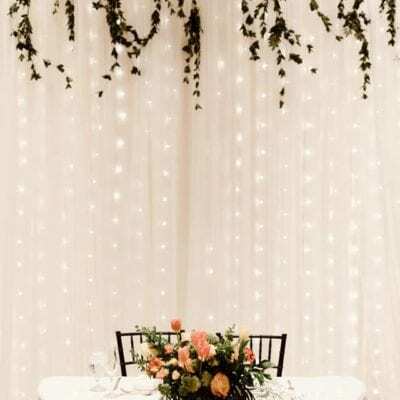 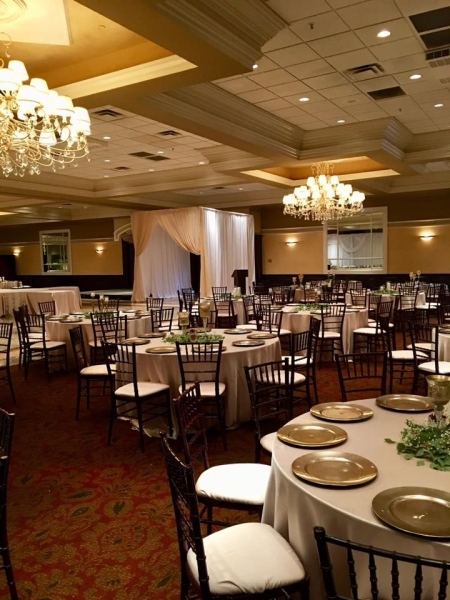 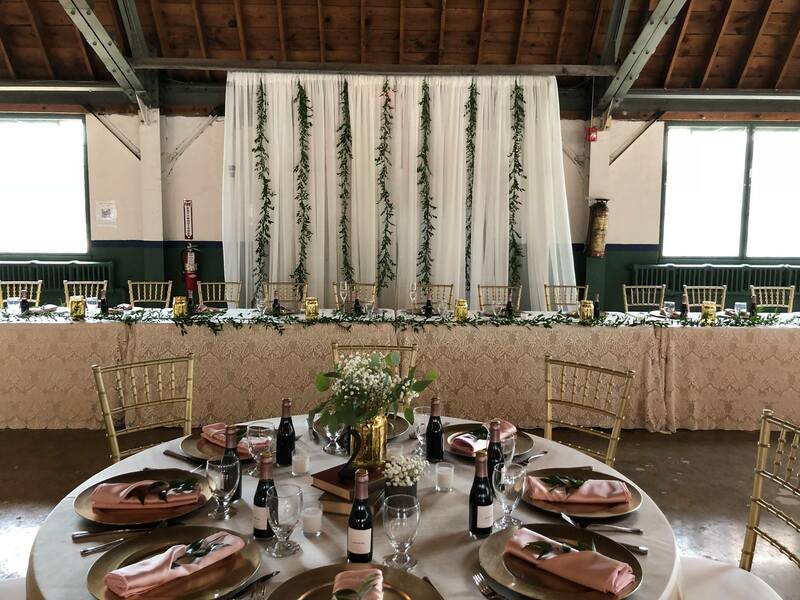 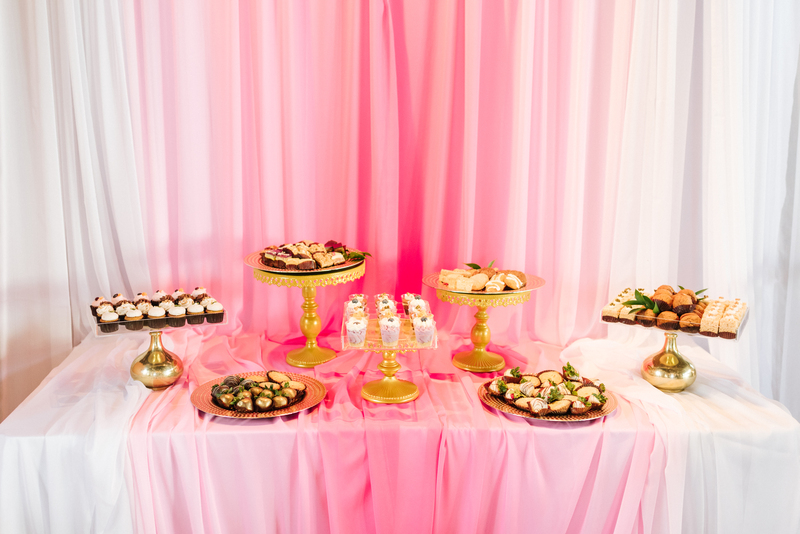 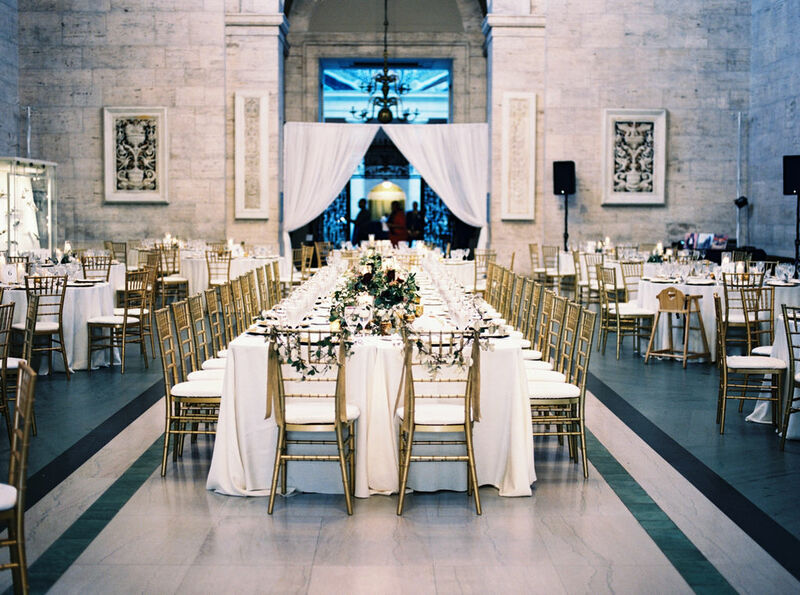 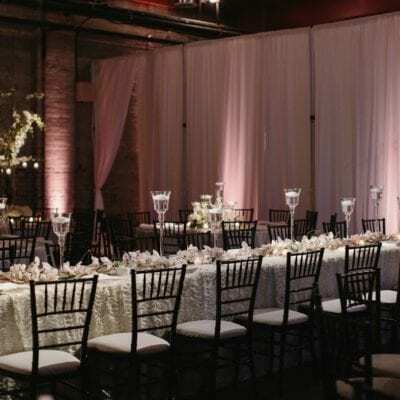 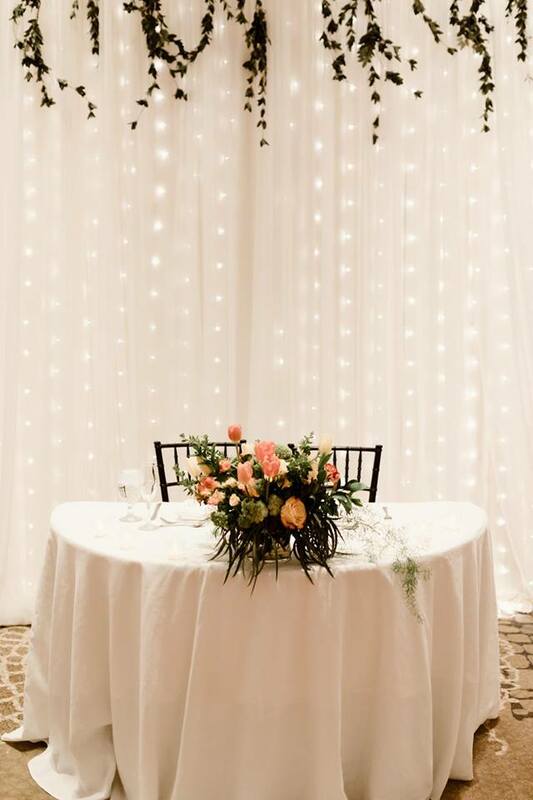 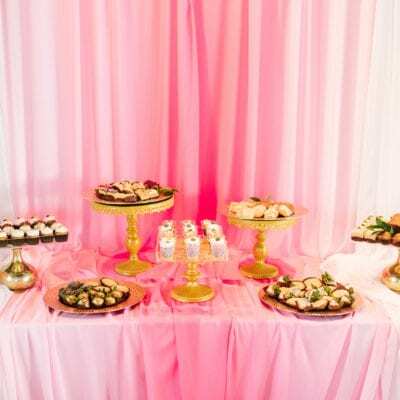 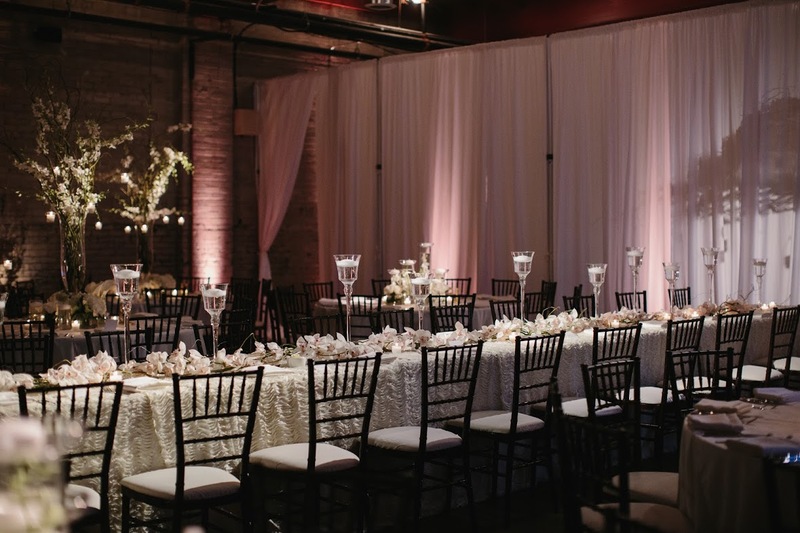 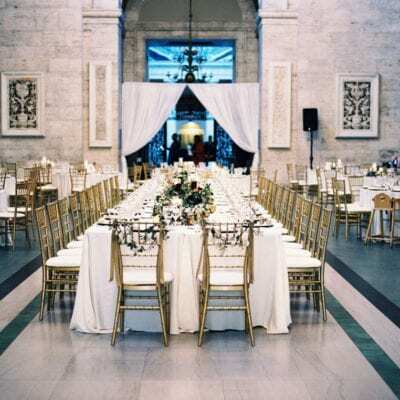 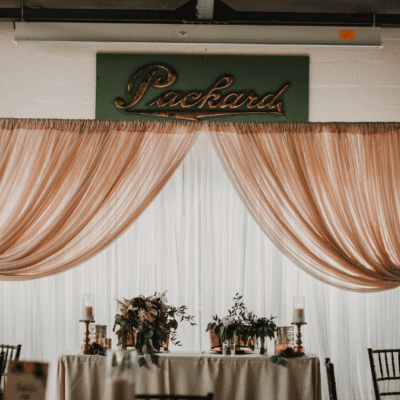 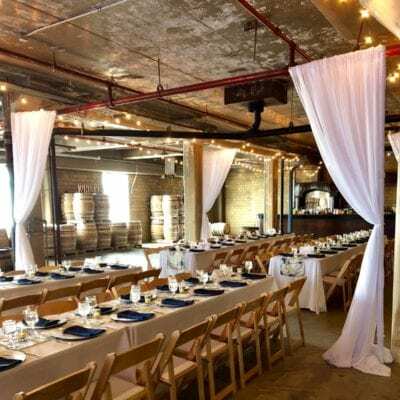 Whether it be for your head table, entry way or the entire space, we’ve got you covered. 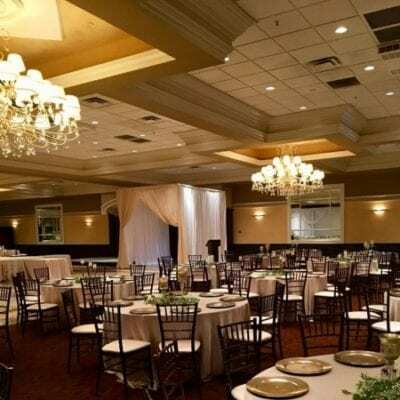 Already booked with us? Add it onto your order today, and receive up to 30% off! 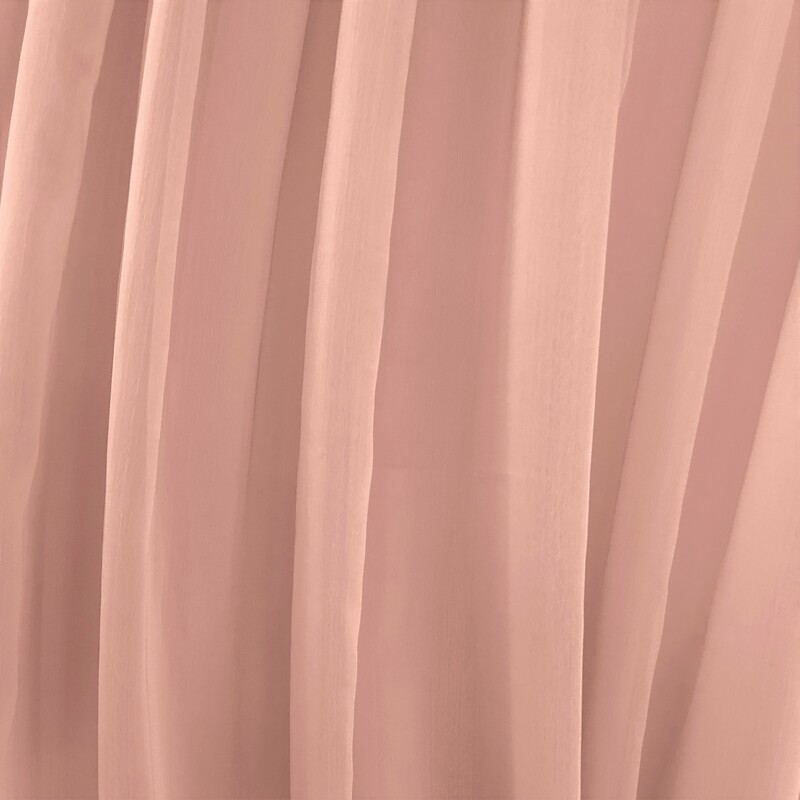 Choose from a full assortment of chiffon colors to compliment your design!